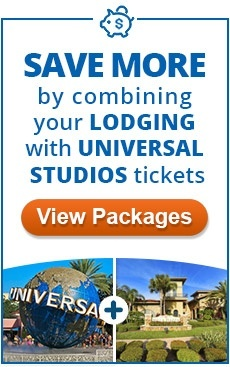 Universal CityWalk™ is located right in the middle of the Universal Orlando Resort™. If you are visiting Universal Studios, Island Of Adventure or desire a night out on the town this is a fantastic place to visit. With live entertainment , great shows and of course outstanding restaurants, you won’t go wrong in planning an evening at Universal CityWalk™. One of the more popular shows at Universal CityWalk™ that you will not want to miss is the Blue Man Group. This extremely lively smorgasbord of music, comedy and theatrics has performed to “sold out” audiences throughout the country. Bob Marley’s Tribute to Freedom – Red Stripe Beer and Caribbean food anyone? Bob Marley’s is probably the most fun of all the restaurants at Universal City Walk. Bubba Gump Shrimp Co – This is the authors personnel favorite. The Shrimp is so fresh, I promise you will not eat better Shrimp dinners than you will from Bubba Gump. Jimmy Buffett Margaritaville – Don’t forget to try ‘Cheeseburger in Paradise’. This restaurant offers great food in a relaxing setting at Universal City Walk. The best time to visit Universal City Walk is in the afternoon for a late lunch. Often times, you will find fabulous discounts at many of the popular restaurants… not to mention you will come in contact with much of the live entertainment as they set up for the evening performances. Pat o” Brien’s – This restaurant is a sister bar to the more famous one in the French Quarter in New Orleans. You can’t go here and not try their famous Hurricane drink. Red Coconut Club – Upscale dance club and bar, lots of fun especially if you get a table near the dance floor. Dance the night away at Universal City Walk.